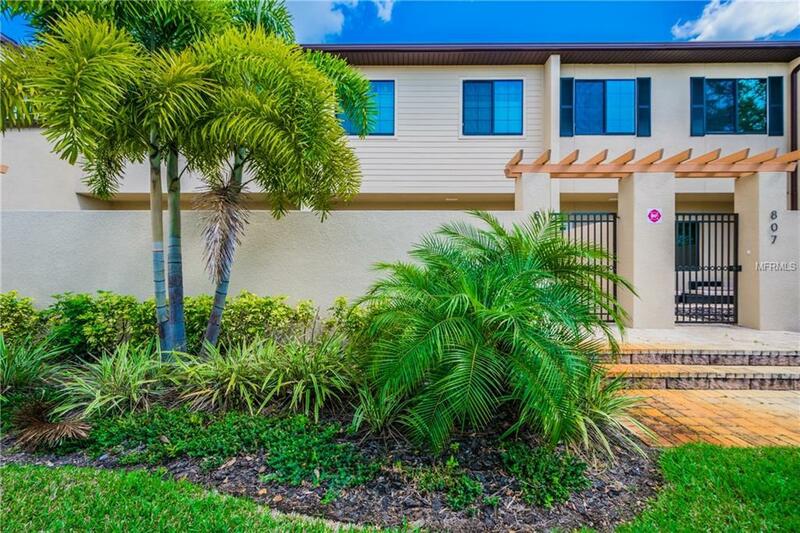 Your Going to Fall In Love with this Beautiful Town Home conveniently located just Minutes to Downtown St Petersburg! Enter through the Gated Private Courtyard into this Beautiful Townhome Built in 2015 where Amenities Abound from Floor to Ceiling! Ceramic Tile Floors, 10 ft Ceilings throughout, Granite Countertops, Stainless Steel Appliances, Walk in Pantry, a Breakfast Bar that Seats 6, Inside Laundry with Full Size Front Load Washer and Dryer, Covered Lanai, Built in Natural Gas Grill, 2nd Courtyard and a 2 Car Garage!! Wow!! Head Upstairs to 3 Bedrooms, split plan - of course! The Master Suite is Everything you would Expect and More! The Master Walk In Custom Closet is A Must! Enjoy your favorite book or a cup of coffee on the Screened Private Balcony off the Master Suite! Come See this Beautiful Town Home Before it's Gone! By Appointment! Listing provided courtesy of Executive Real Estate.